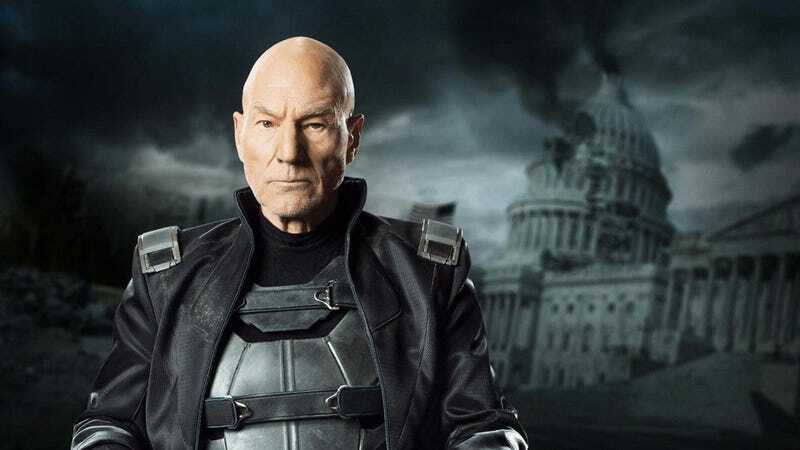 Months ago, Patrick Stewart dropped the news that his version of Professor X would be appearing in the third Wolverine film. Now that we know the film is called Logan and it’s set in 2024 (as well as a certain mutant who may be starring in it), director James Mangold revealed what the Professor looks like in the near future. Turns Charles Xavier has not aged well. Compare that to the photo at the top, which is from X-Men: Days of Future Past. That was also Charles Xavier from the future, and though Wolverine may have altered the timeline, it doesn’t seem to have turned out too well for Xavier. The photo also adds credence to yesterday’s report by The Wrap that revealed a bunch of new details on Logan, among them was this statement: “Professor X (Patrick Stewart) is old and not well. His powers are unstable and at times he doesn’t even remember Logan.” If the Professor is really losing his mind, that’s going to be a bit of a bummer. After all, his power is his mind. For more details on the film, check out today’s Morning Spoilers. Logan opens March 3, 2017.